This model operates at 4 gpm at 60 psig, with a total dirt capacity of 2000 cc. This model operates at 16 gpm at 60 psig, with a total dirt capacity of 6000 cc. 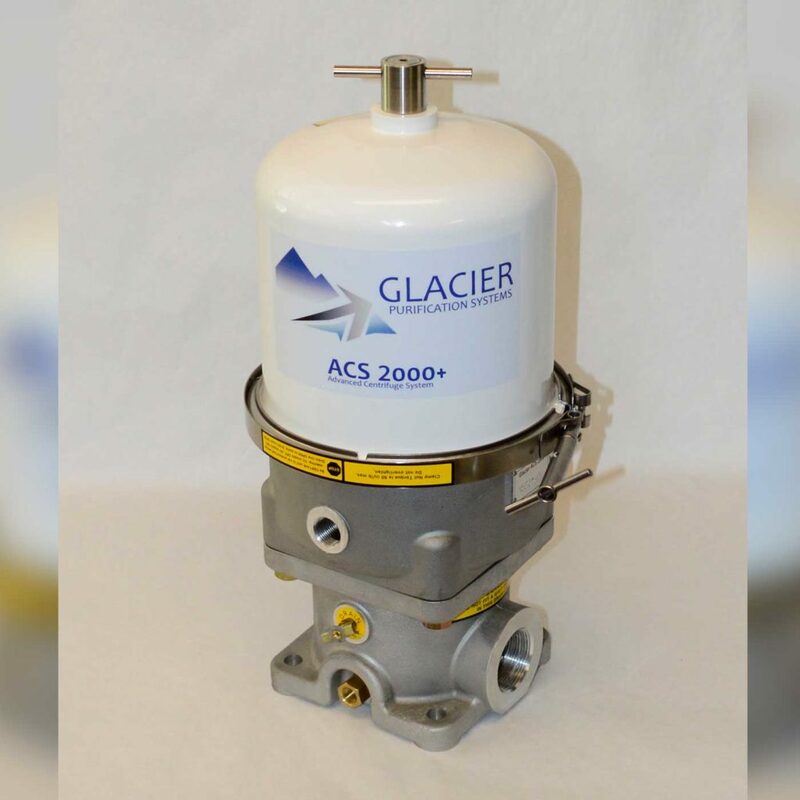 The Glacier Centrifuge is a permanent, cost-effective solution to reduce premature engine wear. High power engines need protection from grit, soot, and other forms of contamination left uncontrolled by factory-type oil filters. Engine damage develops from particles as small as 10 microns, far smaller than typical filters trap; small abrasive debris harms rings, cams and bearings. A pressure-powered centrifuge removes these abrasives, breaking the lube oil chain reaction of wear. 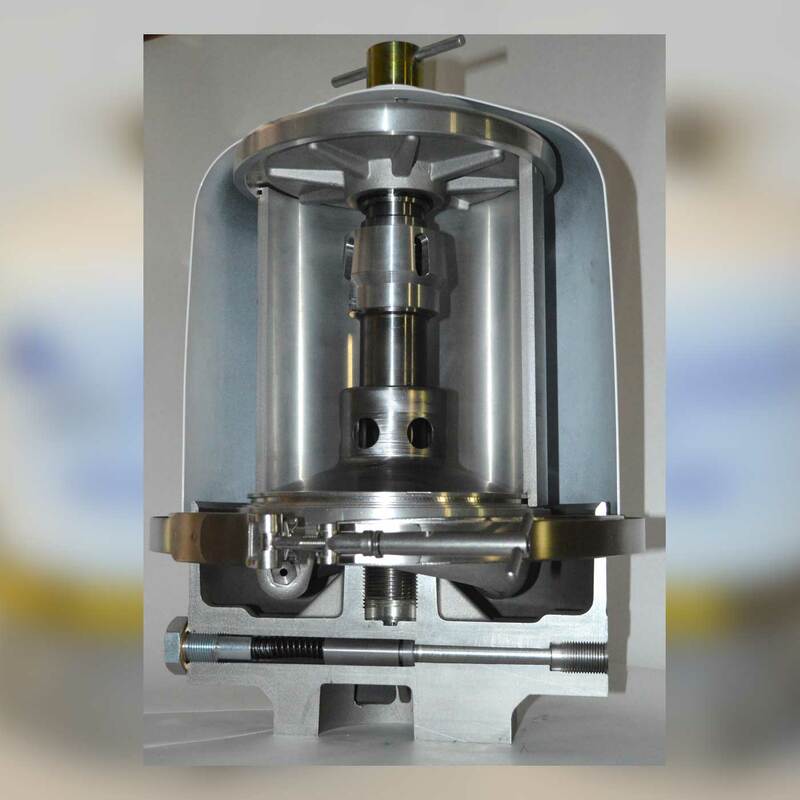 Pressure Powered Centrifuge removes solids from lube mixtures, fuels and all types of oils. The Glacier Centrifuge is successfully applied in hydraulic systems when high dirt ingression otherwise overwhelms OEM filter strategies. The Glacier Centrifuge improves oil cleanliness, lowers cost and improves uptime. 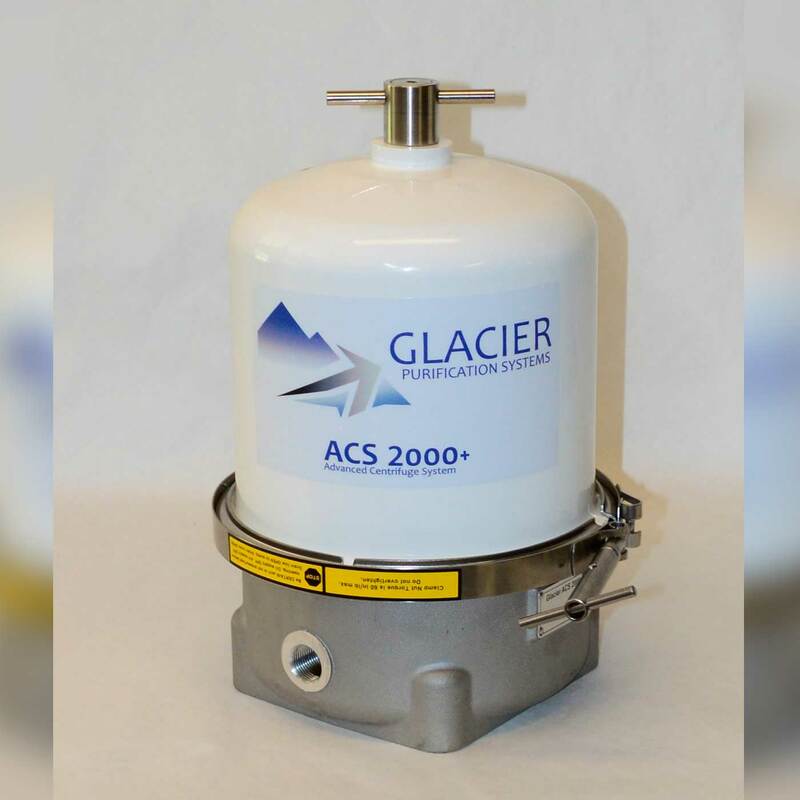 Reduce engine wear and unnecessary maintenance expenses with a Glacier Centrifuge! 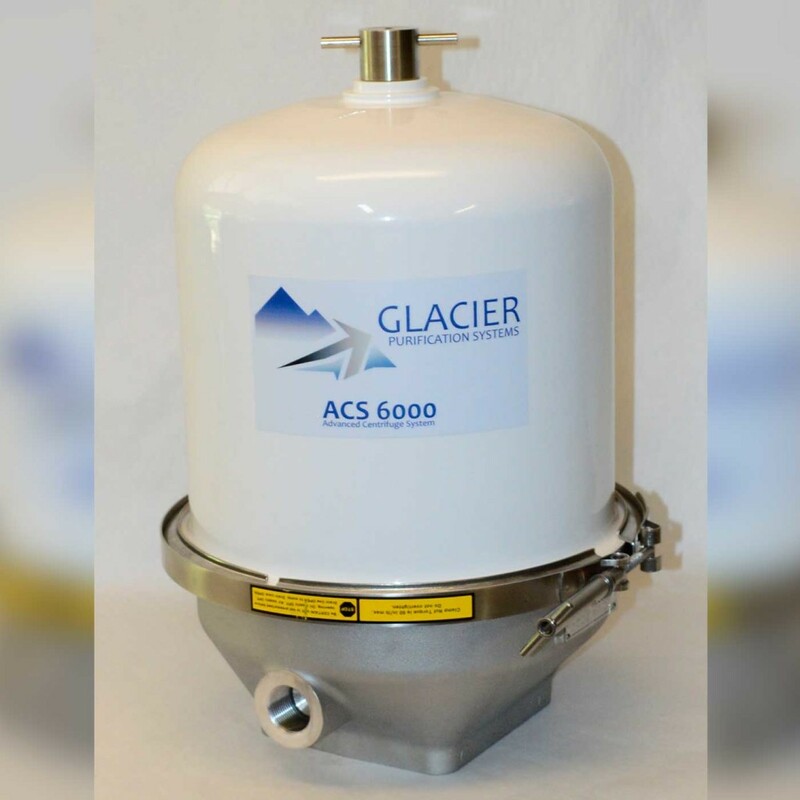 Glacier Centrifuges add value in a wide range of industrial applications.